The recipients of the 2015 Oliver W. Koonz Prize — which recognizes the innovative work being done on human rights by students — were Jaclyn Grace for her outstanding essay and a team of students: Phia Sennett, Cassie Yuan, Meghan O’Neil, and Yi Ying for the best alternative project. Jaclyn Grace is a graduating senior at Duke University, where she double majored in International Comparative Studies with a regional concentration in Africa and French Studies. She is now pursuing work in Washington D.C. before applying to graduate school. In her provocative meditation on equal rights in unequal societies, Jaclyn Grace cogently thinks through her skepticism about the possibility of human rights in patriarchal contexts – i.e. in all modern societies. At the heart of the conundrum she explores lies the paradox that the achievement of equality among all people must acknowledge gender-linked differences (like liberty vs. encumbrance and self-interest vs. altruism). But, she asks, could a society exist if its norms endowed every individual with equal autonomy? Even gender neutrality in the language of human rights masks norms that relegate women to the “private” sphere on which men’s “public” privilege depends. Grace has written a wake-up call to rethink how to achieve human rights across diverse cultures, each of which is marked by many kinds of inequality and difference. Read Grace’s essay, The Human Rights Patriarchy: “Masculine Liberal Subjects” and the Paradox of Universalism. Do humans have a right to live in a healthy environment? These students not only believe they do, but also acknowledges how tedious and politically fraught the realization of this ideal can be. After viewing hours and hours of archival video footage compiled by UN Environmental Program, the student team documented the quiet day-to-day operations of UNEP in the Niger Delta, where transnational oil companies have devastated the habitat on which the Ogoni people depend. Skillfully blending footage of oil slicks and contaminated mangrove forests with commentary by local leaders, scientic experts, and community members, the film conveys the message that human rights and environmental restoration are the prerequisites for peace and stability in Ogoniland. Phia Sennett is completing undergraduate majors in Visual and Media Studies at Duke University and Geography at The University of North Carolina. Visualizing landscapes using GIS, immersive and augmented reality, and film is central to her course of study and interest in landscape architecture and urban design. Cassie Yuan is a rising Junior at Duke majoring in Biology and Chemistry. Her interests in nature and film drove her to join this project. She feels that this project has been an enriching learning experience with a wonderful team and a unique pool of footage to work with, and she is grateful that the film will have a larger audience through the Duke Human Rights Center. Meghan O’Neil is a PhD student in the English Department at Duke. She studies postcolonial and contemporary literature and has interests in ecology and the environment, political theory, and documentary film. 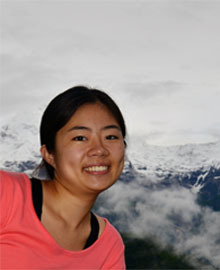 Yi Ying Teh is a junior studying Environmental Sciences and Policy and Public Policy. 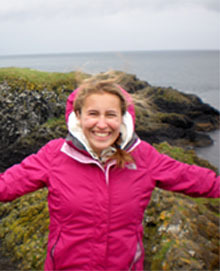 She is interested in the conveyance of environmental issues through artistic mediums and the role of faith-based organisations in climate action.